If you want to export goods to the EU, whether from the USA, Canada, Australia or Asia, there are a number of import rules you need to be aware of. Unless the items have very low or no commercial value then they will be subject to duty and vat on arrival into the UK. The level of duty will depend on the type of product. Some products attract 0% duty whilst some attract much higher rates. The rate of duty will depend on how UK customs identify the product from its commercial invoice. It is important therefore to have clear descriptions on the documentation with the shipment and ideally to include a harmonised code on the paperwork. Vat payable will depend on the value of the goods declared on the invoice and will be applied at either 20% or 0% depending on VAT rating of the item being imported. Some companies try to minimise the duty and vat charges by declaring their goods with very low values or as commercial samples. However, if Customs consider the declared value to be wrong or the reason for import to be fictitious, then they will apply the correct fees. 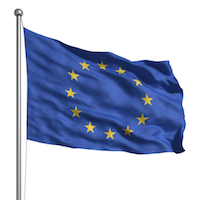 Under current regulations all overseas companies trading in the EU must have a EORI/VAT number. This number is used to account for the VAT paid on the goods on their import. Once an overseas company is registered for VAT, they can reclaim the VAT paid on their imports – but they will have to pay VAT on their sales activity. Once the goods have been cleared into the UK, they are known as being in European Free Circulation. They can be shipped in any EU country without any further VAT or duty being paid. Should an overseas customer export any goods in EU Free Circulation out of the EU, then they are entitled to reclaim the VAT that they paid on those goods on their arrival into Europe. It is important to oversee the importation process. Once your goods arrive at the destination and are unloaded they will be inspected by Customs officials. If Customs have any questions they will refer them to the recipient. If they do not respond in an appropriate time Customs may just return the items to sender. Indeed once cleared through Customs, the carrier will require the duty and vat charges to be settled ahead of delivery. There is a very small timeframe in which to do this before storage charges start to be applied to the shipment. Such storage charges are applied daily and in my personal opinion – are exorbitant! It is important therefore to have clear lines of communication to the recipient of the goods and to make sure that he has all the documentation he needs to assist with clearing the goods ahead of their arrival into Europe. In summary, importation is nothing to be scared of, it is a daily occurrence round the world and very little ever goes wrong. It is just important to remember that if you spend the time to get the documentation right before you ship then you will have very few problems when the goods get into the the EU. If you’d like more information about our warehousing, picking, packing and distribution services into or around the UK and EU please do not hesitate to get in touch. This entry was posted onWednesday, August 20th, 2014 at 4:20 pm and is filed under News. You can follow any responses to this entry through the RSS 2.0 feed. You can leave a response, or trackback from your own site. Both comments and pings are currently closed.